The annual Zwartbles in lamb sale at Carlisle attracted buyers from all parts of the UK and Ireland. Although trade throughout was very steady the sale topper was a gimmer Clarewood Cover Girl from T & C Critchley Hutton Preston selling to G & M Booth’s Megaboo flock Keighley West Yorks for 1100gns. Second top was at 1000gns and was shared by a gimmer Cynefin Cain from O Hughes Owen Anglesey selling to P & S Addison’s Hayberries flock Barnard Castle and for a ewe lamb Smiddy Hill Deloras from C & H Duffy selling to D Brisbane’s Auchmantle flock Stranraer. Flock ewes topped at 800gns for a three crop ewe Millburn Willow from J & N Millar Lockerbie selling to M J Cornish’s Mardle flock Devon. 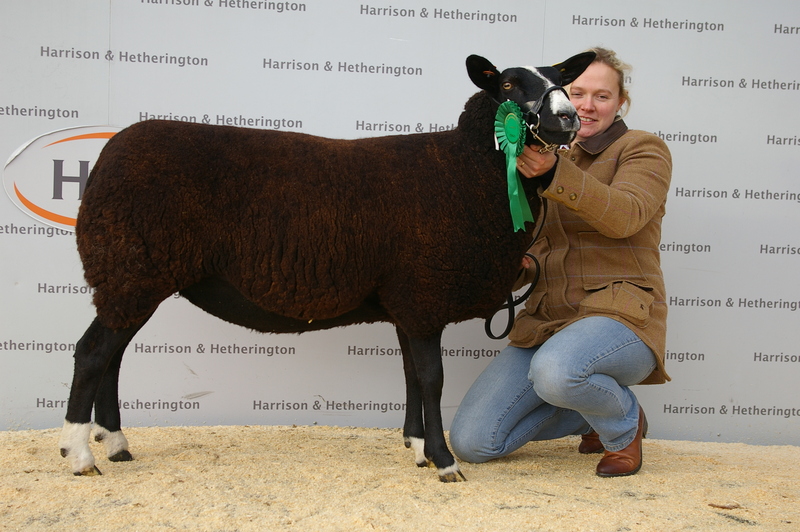 Willow was also the sale Champion meanwhile the reserve champion was a younger ewe lamb from L & J Strawhorn Broomhill Bank Dorothy sold to 400gns to C Pickford’s Thornsett flock Macclesfield Cheshire. Concluding the day were two dispersals. The first from Don and Hazel Scott’s Marton flock Macclesfield Cheshire due to ill health leading prices here was 220gns for shearling gimmers sold running with the tup selling to A & P Bonsall, Buxton, F Wilkie Skene and N Hodgson Bedale The second was the Cairness flock of David Moir Fraserburgh Aberdeenshire with ewe lamb selling at 3500gns, Cairness Dare Devil was sired by Elidon Hill Am Yer Man and it’s dam was another from the same flock Elidon Hill Wait n See. Leading ewe price was 720gns For Cairness Barbie girl selling to R Heigh’s Brookdene flock Bentham while leading gimmer sold at 750gns for Cairness Camera Shy selling to F Wilkie’s Whitestone flock Skene Aberdeenshire. flock Keighley West Yorks for 1100gns.